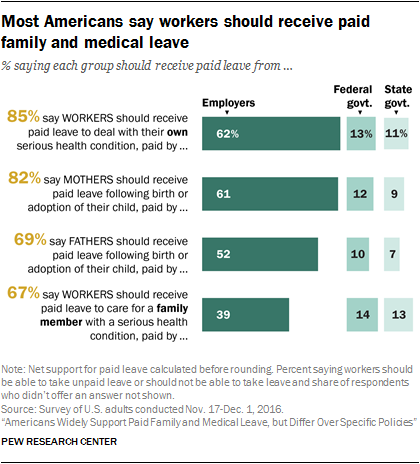 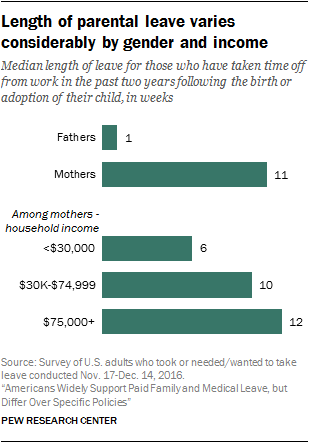 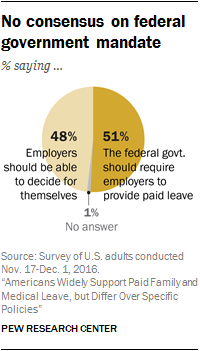 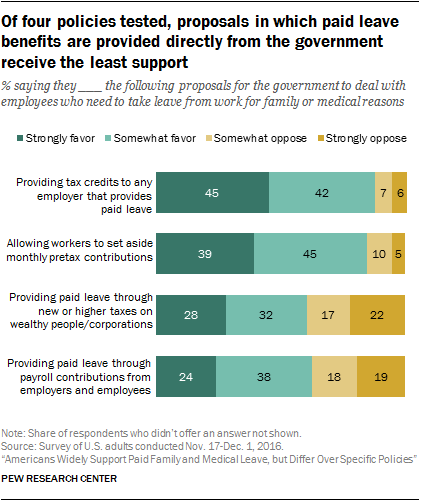 Throughout this report, when referring to attitudes toward paid leave policies, the terms “family and medical leave” and “taking time off from work for family or medical reasons” refer to taking time off following the birth or adoption of one’s child, to care for a family member with a serious health condition, or to deal with one’s own serious health condition. 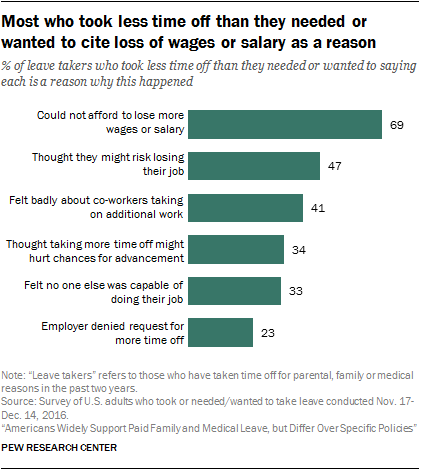 In order to distinguish between the experiences of those who took time off from work (or who needed or wanted to take time off but weren’t able to do so), the term “parental leave” refers specifically to time taken off from work following the birth or adoption of one’s child; “family leave” refers to taking at least five days off from work to care for a family member with a serious health condition; and “medical leave” refers to taking at least five days off from work to deal with one’s own serious health condition. 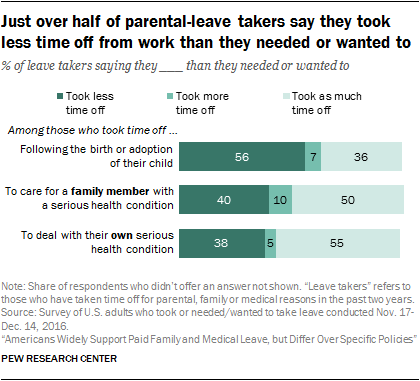 “Leave takers” refers to those who were employed in the past two years and took time off from work during this time following the birth or adoption of their child, to care for a family member with a serious health condition, or to deal with their own serious health condition. 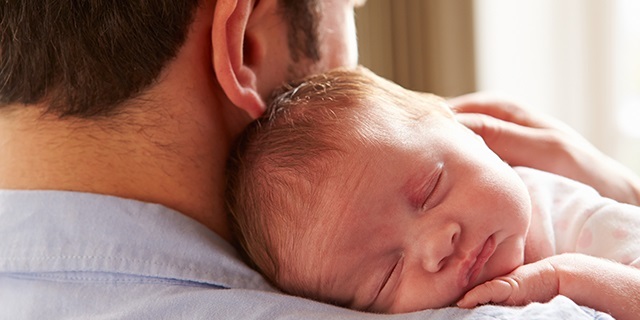 “Paid leave” refers specifically to paid leave for parental, family or medical reasons.